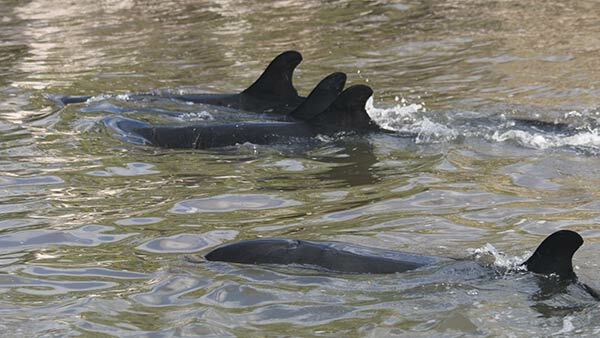 Almost 100 false killer whales became stranded on a remote beach in Florida over the weekend, the largest mass stranding of the mammals in the state's history, officials said on Monday. 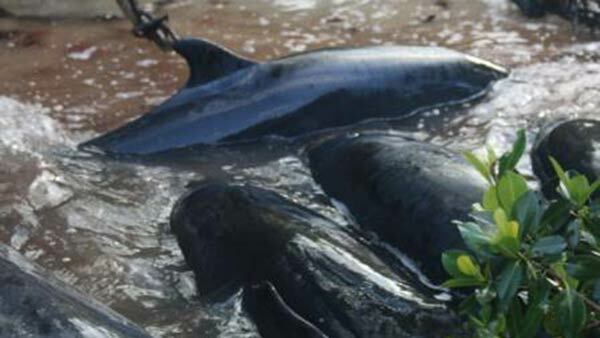 Stuck in the mangroves, most of the animals either died or had to be euthanized. Despite their threatening name, false killer whales largely feed on fish and cephalopods and are part of the dolphin family. The mammals are known to travel in large groups. On Saturday, officials found 95 of them stranded near the western boundary of Everglades National Park, north of Highland Beach. They ranged from young calves to mature adults, which can weigh about 1,500 pounds. 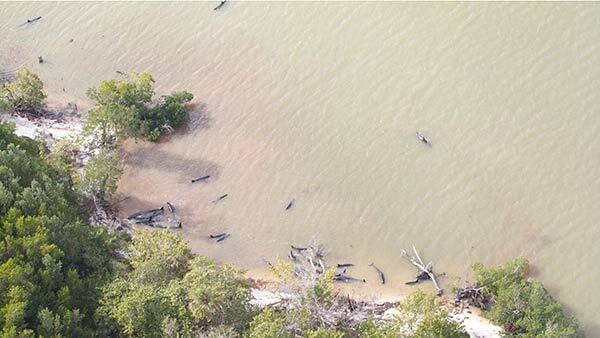 Efforts to herd the animals into deeper water were unsuccessful, as the mammals had become deeply embedded in the mangroves, the National Oceanic and Atmospheric Administration said. Of the 95 whales spotted, 82 have died: Most died on their own, while about 10 beached animals were euthanized by scientists after being found in "extremely poor" condition. As of Monday, 13 animals remained unaccounted for. The remote location of the stranding caused difficulties for the rescue efforts. The beach did not have cell service, said Blair Mase, a NOAA coordinator. That made communication between and within different departments difficult. "These animals were stranded in a very remote location, very far offshore, and we are dealing with sharks and things like that," Mase said. "So it's a very safety-conscious effort." Researchers are looking into the cause of the mass stranding. Mass strandings are not uncommon for the species in Florida, though the size of this incident was the largest in recent history. 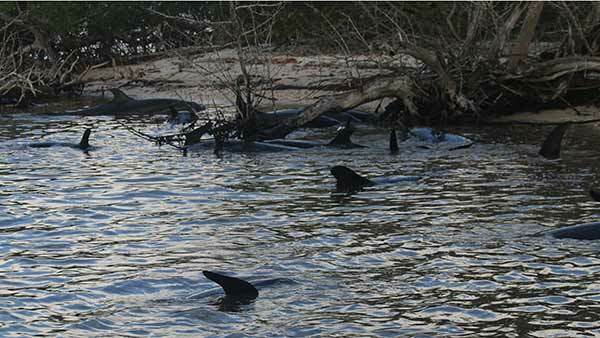 In 1986, 28 false killer whales were stranded on Key West, and in 1989, 40 were stranded in Cedar Key.